While visiting the Adelaide 4WD Show in late 2006 I got to have a look at the ARB EZ Tyre Deflator. I’d already read about it in the ARB Press Release (see the news section) and knew about it as the USA made Currie Valve. Looking for bargains, and wanting to spend some money on toys after making the 4hour trip from home, Trevor and I did a deal with the ARB boys and got two for $100. I was happy with the Staun Deflators that I have had for about 6 years, as was Trevor with his, but we both thought the EZ Deflator could be more versatile. 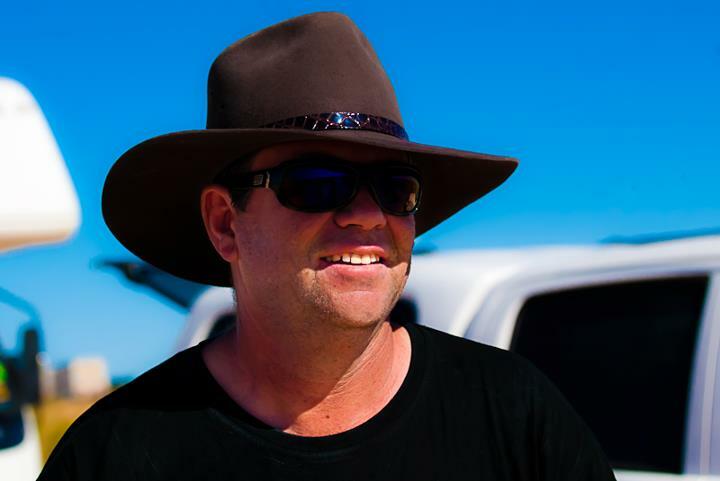 I threw my EZ Deflator into the door pocket of the Patrol and didn’t give it another thought until we went to Robe after Christmas. I used my Stauns to get my tyres down to 17psi but, after reports of VERY soft beaches (one of our group was already bogged only 100m onto the beach) I used the EZ to go down to 13psi. I was immediately impressed by how quick it was and easy to use. 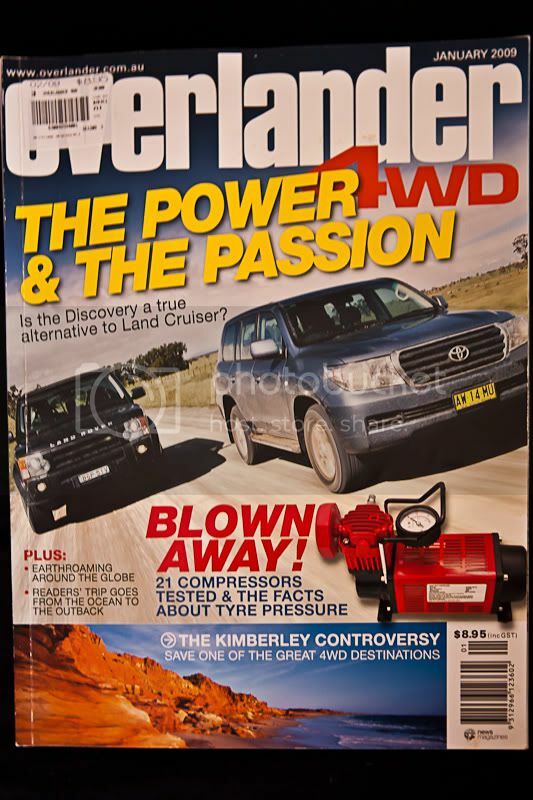 A few days later, for the Canunda Beach Run, I went straight for the EZ Deflator and took the tyres down to 13psi. It seemed that the EZ Deflator was so much quicker than the Stauns but given that the Stauns are working on four tyres at once and the EZ can only do one at a time is it really quicker? To find out I tested both in the comfort of my driveway at home, using the no-expense-spared test kit (VDO pressure gauge, wristwatch, tyre inflator and 2.5HP compressor). VDO gauge said the inflator was reading 3psi low. I used the gauge on the inflator to set the 40psi start point and the VDO gauge to check the deflated pressures. With the exception of onboard tyre pressure adjustment systems, as used in the Hummer, the Stauns have been the best way to quickly and accurately deflate tyres to a preset pressure and seem to be used by a lot of recreational 4WDers. As such they are the defending champions in this test. Known drawbacks of the Stauns are that they are preset to one pressure and also that it’s hard to tell if they are out of adjustment, until one of your tyres is down to 5psi and you need to get the compressor out. 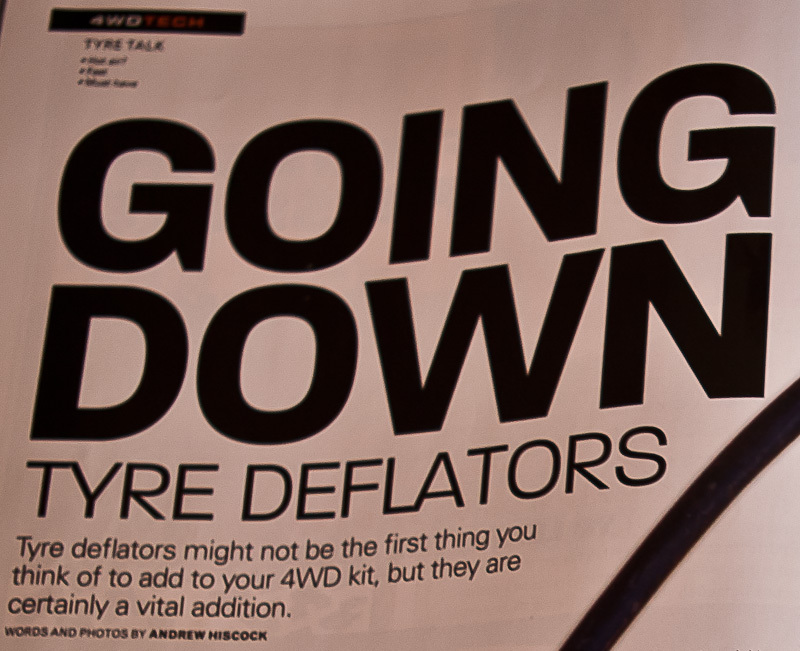 The ARB EZ Tyre Deflator is a smart update to my pre-Staun method of tyre deflation. I, like many others, used a valve tool to remove the valve core and take a guess as to when the tyre was down enough. Final, hopefully minor, adjustments were then made with the core back in. While the EZ Deflator works on a similar principle it avoids the possibility of the valve core flying over your shoulder into the scrub and also allows you to quickly and repeatedly check the tyre pressure. For the test I used my Nissan Patrol with 305/70R16 tyres. All four tyres were pumped to 40psi (as per the inflator gauge) and then deflated to 17psi using both devices. 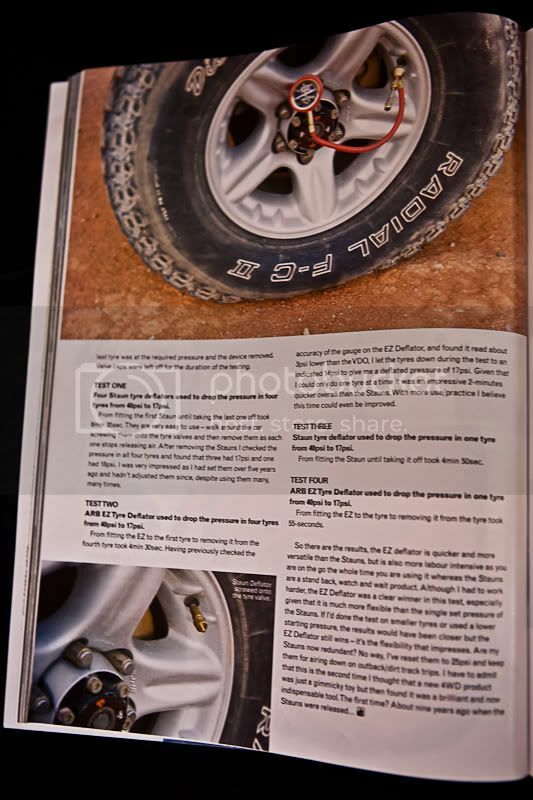 The time taken was recorded from when the device(s) were attached to the first tyre until the last tyre was at the required pressure and the device removed. Valve caps were left off for the duration of the testing. Test One – Four Staun tyre deflators used to drop the pressure in four tyres from 40psi to 17psi. From fitting the first Staun until taking the last one off took 6 minutes and 35 seconds. They are very easy to use – walk around the car screwing them onto the tyre valves and then remove them as each one stops releasing air. After removing the Stauns I checked the pressure in all four tyres and found that three had 17psi and one had 18psi. I was very impressed as I had set them over 5 years ago and hadn’t adjusted them since despite using them many many times. 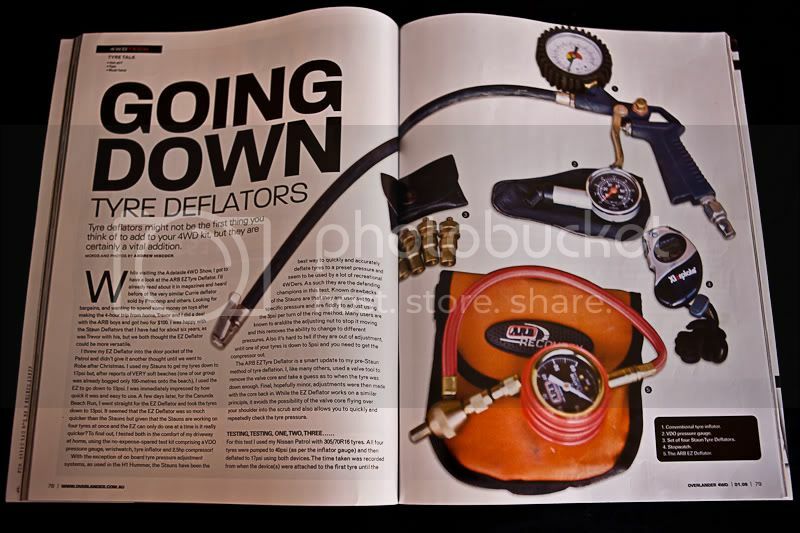 Test Two – ARB EZ Tyre Deflator used to drop the pressure in four tyres from 40psi to 17psi. From fitting the EZ to the first tyre to removing it from the fourth tyre took 4 minutes and 30 seconds. Having previously checked the accuracy of the guage on the EZ Deflator, and found it read about 3psi lower than the VDO, I let the tyres down during the test to an indicated 14psi to give me a deflated pressure of 17psi. Given that I could only do one tyre at a time it was an impressive 2 minutes quicker overall than the Stauns. With more use/practice I believe this time could even be improved. Test Three –Staun tyre deflator used to drop the pressure in one tyre from 40psi to 17psi. From fitting the Staun until taking it off took 4 minutes and 50 seconds. Test Four – ARB EZ Tyre Deflator used to drop the pressure in one tyre from 40psi to 17psi. From fitting the EZ to the tyre to removing it from the tyre took 55 seconds. So there are the results, the EZ deflator is quicker and more versatile than the Stauns, but is also more “labour intensive” as you are on the go the whole time you are using it whereas the Stauns are a stand back , watch and wait product. Although I had to work harder the EZ Deflator was a clear winner in this test, especially given that it is much more flexible than the single set pressure of the Stauns. If I’d done the test on smaller tyres or used a lower starting pressure the results would have have been closer but the EZ Deflator still wins – it’s the flexibility that impresses. I have to admit that this is the second time I thought that a new 4WD product was just a gimmicky toy but then found it was a brilliant and now indispensible tool. The first time? About seven years ago when the Stauns were released…..